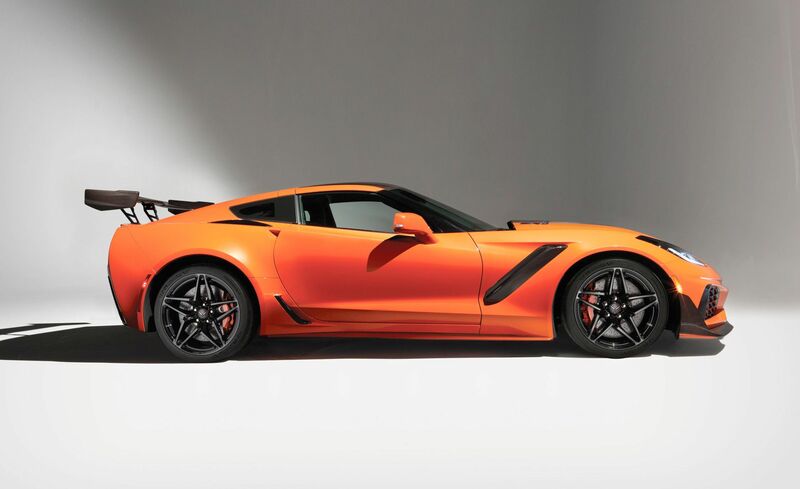 The 2019 Corvette ZR1 was bought by Rick Hendrick, chairman of Hendrick Automotive Group and owner of 12-time NASCAR Cup Series champions Hendrick Motorsports, for $925,000. The auction proceeds will benefit the Stephen Siller Tunnel to Towers Foundation and the work it does to support wounded veterans through the Building for America’s Bravest program. Super Saturday at the Barrett-Jackson auction in Scottsdale, Arizona was, in a word, SUPER. For starters, Chevrolet partnered up with former President George W. Bush to auction off the first Corvette Carbon 65 Edition coupe. 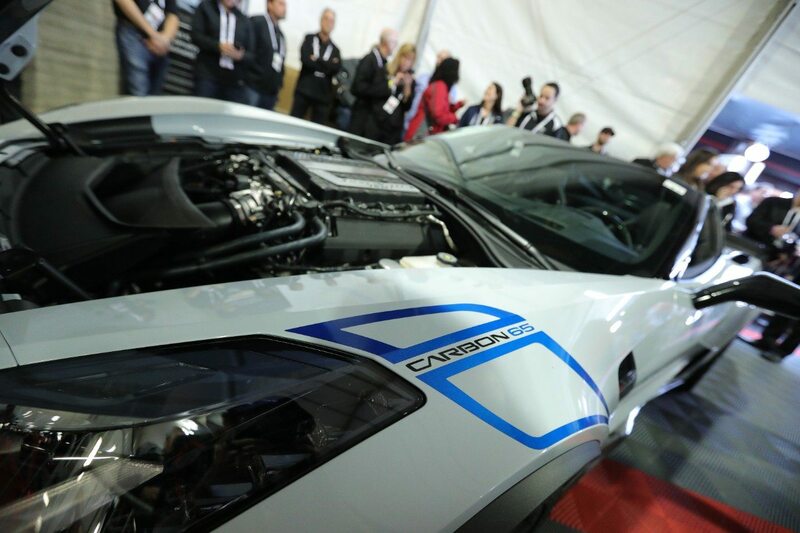 The car crossed the auction block, driven by Jay Leno, and was further introduced by President Bush himself as he made a surprise visit to Barrett-Jackson on Saturday afternoon. The 2018 Corvette Carbon 65 Edition coupe signed by President George W. Bush was bought by John Staluppi, owner of Atlantic Automotive Group, for $1.4 million. The proceeds will benefit the Bush Center’s Military Service Initiative. 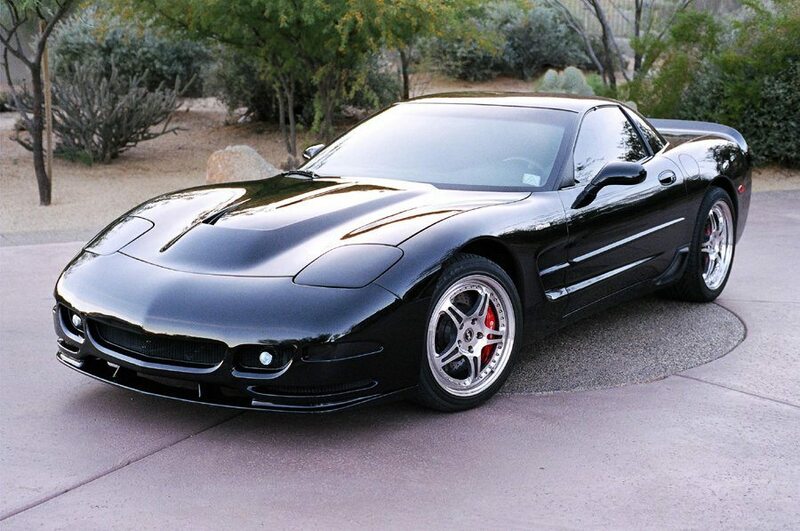 The Carbon 65 Corvette Edition was purchased by John Staluppi, owner of the Atlantic Automotive Group, for $1.4 million dollars. All of the proceeds of that sale will benefit the Bush Center’s Military Service Initiative. 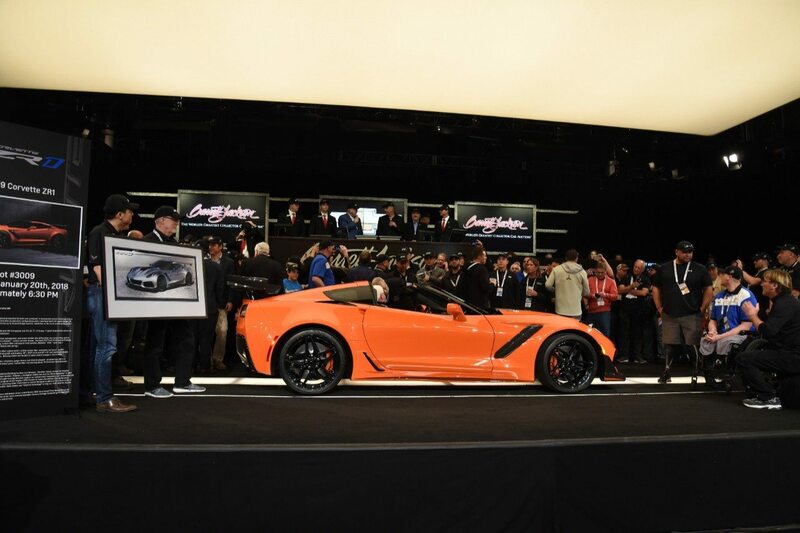 The bigger news among Corvette enthusiasts, and the moment that everybody was waiting to see, was the auctioning off of the first-ever 2019 Corvette ZR1. 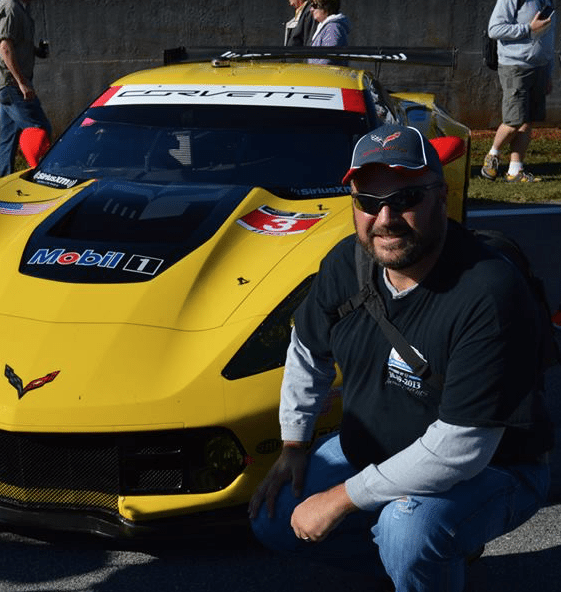 The car was purchased by Rick Hendrick, chairman of Hendrick Automotive Group and owner of 12-time NASCAR Cup Series champions Hendrick Motorsports. The price? $925,000, which is astronomically more expensive than future ZR1’s window sticker price. On the other-hand, future sales of the 2019 Corvette ZR1 won’t carry the distinction of being VIN 001. Moreover, the proceeds from their sales won’t go to benefit a worthwhile cause. 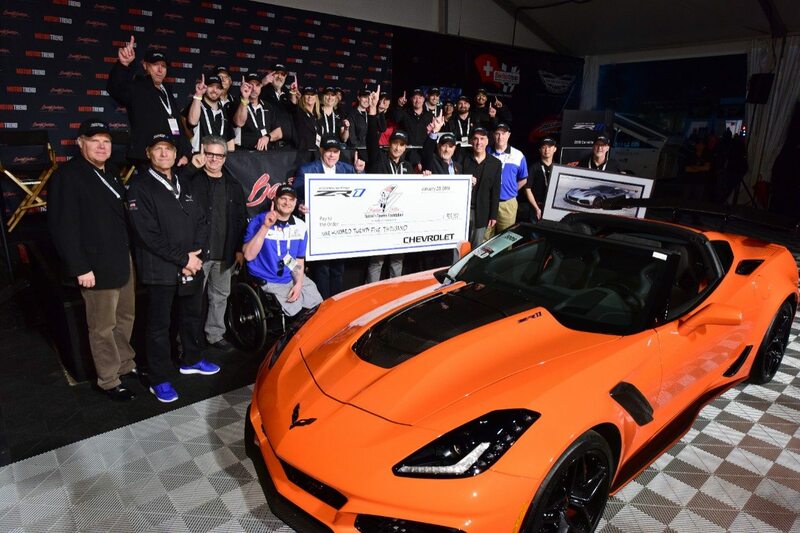 Just like the Corvette Carbon 65 Edition that was auctioned off by President Bush and General Motors, all of the money raised by the sale of the first-ever 2019 Corvette ZR1 will be donated to the Stephen Siller Tunnel to Towers Foundation. The 2019 Corvette ZR1 as it crosses the Barrett-Jackson auction block. The Stephen Siller Tunnel to Towers Foundation works to support wounded veterans and first responders by providing mortgage-free smart homes and working to paying off existing mortgages under the foundation’s ‘Building for America’s Bravest’ program. 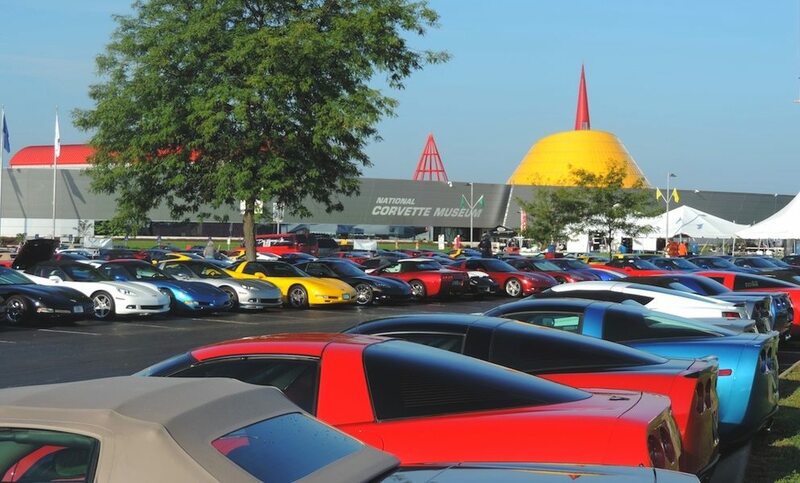 Together, the two Corvettes raised a total of $2.325 Million Dollars – all of which will directly benefit veterans. As for Rick Hendrick’s big dollar purchase on Saturday evening? Spending a million dollars (or more) on a VIN #001 Corvette isn’t new to the billionaire businessman. 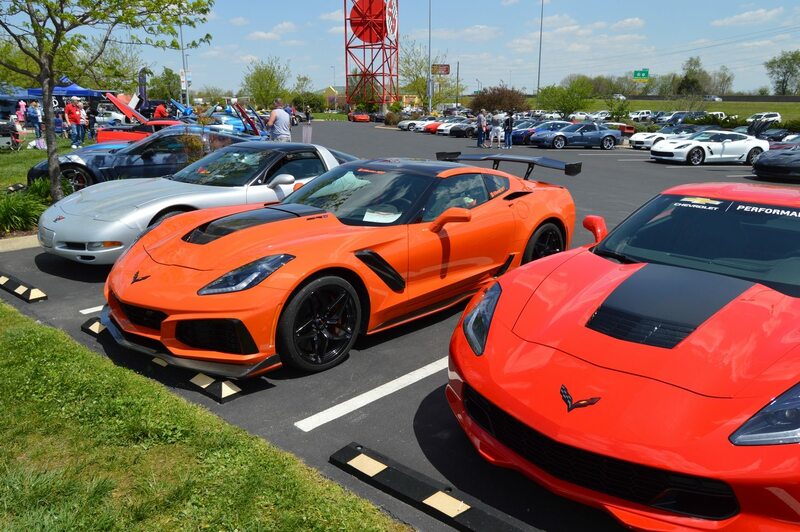 Over the past several years, Hendrick has purchased VIN 001 models of the first Corvette Stingray coupe and convertible, the first Z06 coupe and convertible, the first 2018 Camaro ZL1 and the first Acura NSX. Sell price of the new 2019 Corvette ZR1 will begin at $119,995, with cars scheduled to ship to dealers later this year.